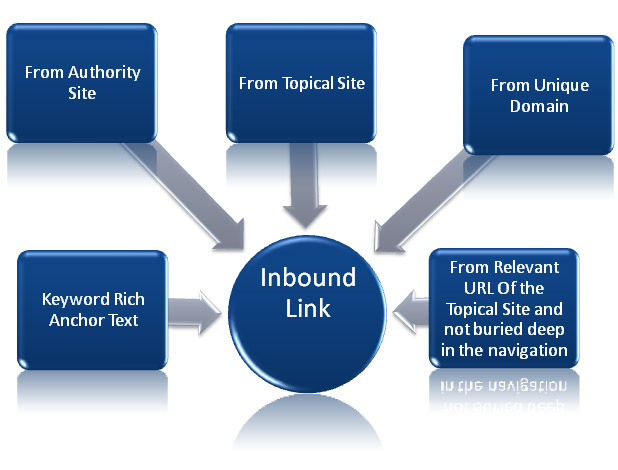 also speak about how we are not in favour of link building as one of the main activities to be focused in the whole SEO process because good quality natural links should get built as a part of the whole online web journey of the website on the WWW if it is enriched with quality content and other web 3.0 features. But, in this process also all the links which get made thus are not equal and do not help the site equally. Hence time and again you have to do this quality check and filter out the wanted links from the unwanted ones and try to do away with the unwanted links. This also helps in getting a realistic view about how many inbound links we have matter to us and we should not get carried away by the number but focus on the quality. Once you have the list of inbound link to your site try filtering out the links on the basis of these categories and then try to improvise on the quality by tweaking the anchor text and placing it on the relevant URLs for better returns and send deletion requests to sites from where the links seem spammy and are harming the site more than healing it . Here the focus is not PageRank but to improve upon the value of the digital asset that you already have for which you are not getting the true benefit from. Usually people focus on how to get links but once you have a reasonable no. of links taking the reverse action will improve upon the quality of inbound links which will have a positive impact on SERPs and which may increase the potential of attracting more inbound links. So, the whole process is integrated and cyclic but either way you start the focus has to be on the quality parameters rather than the quantity.